Back in mid March, myself and my mam went to Newcastle Theatre Royal to see 'Shrek the Musical' so granted, this review is well overdue! For months and months, my mam had been going on about going to see 'Shrek the Musical' so as part of her Christmas present, I decided to buy us tickets. I have to admit, despite being a huge lover of the DreamWorks film, I wasn't overly enthused about going to see the musical as I thought it would be a bit more like a pantomime aimed at children. I was so so wrong. 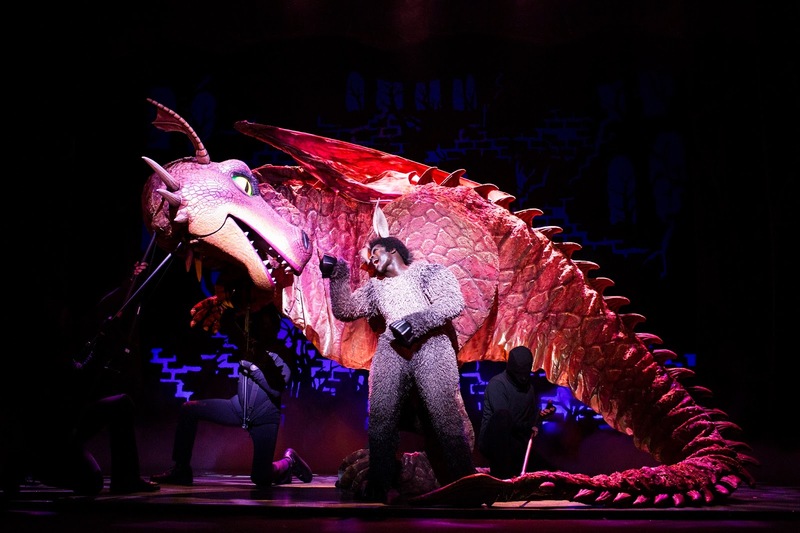 'Shrek the Musical' is a greatly theatrical show and although there isn't a stand out song like the likes of 'Oh What A Night' from the Jersey Boys or 'Defying Gravity' from Wicked, it is joyous throughout with catchy uplifting beats. What it may lack in a standout song, it certainly makes up for in the costume, make-up and props department (the dragon is amazing) - it was incredible and the show wouldn't have been the same without them. 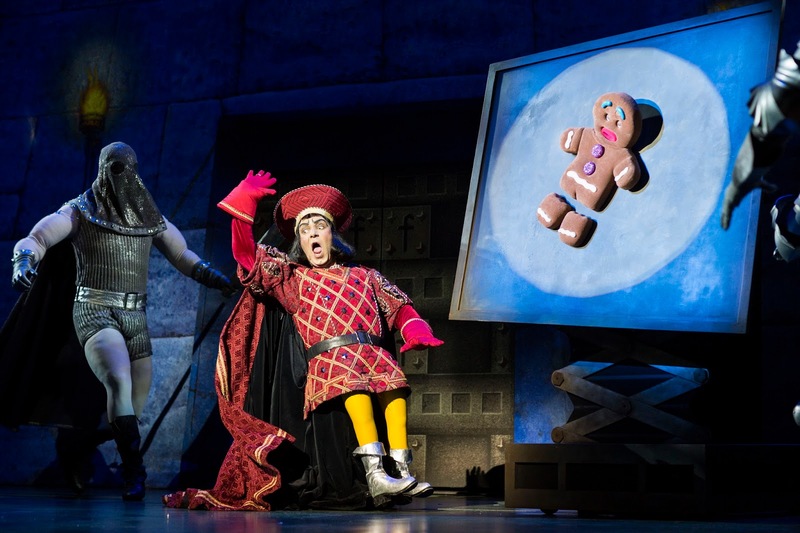 The acting was also astounding from all of the cast and although Dean Chisnell as Shrek and Faye Brookes as Princess Fiona were very well performed, the stand out for myself (and my mam) has got to be Gerard Carey as Lord Farquaad; he owned the stage in a way that has to be seen to be believed. And of course there was Donkey played by Idriss Kargbo who's portrayal of a sassy and cool Donkey brought the show to life. 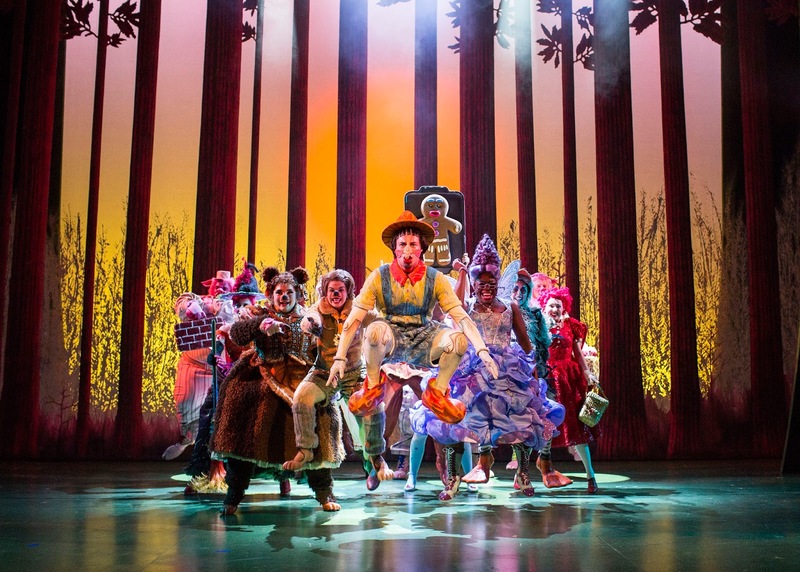 The supporting cast were also outstanding, which included fairy tale characters such as Pinocchio, Peter Pan and The Three Little Pigs; together, they all made the songs more upbeat and infectious. 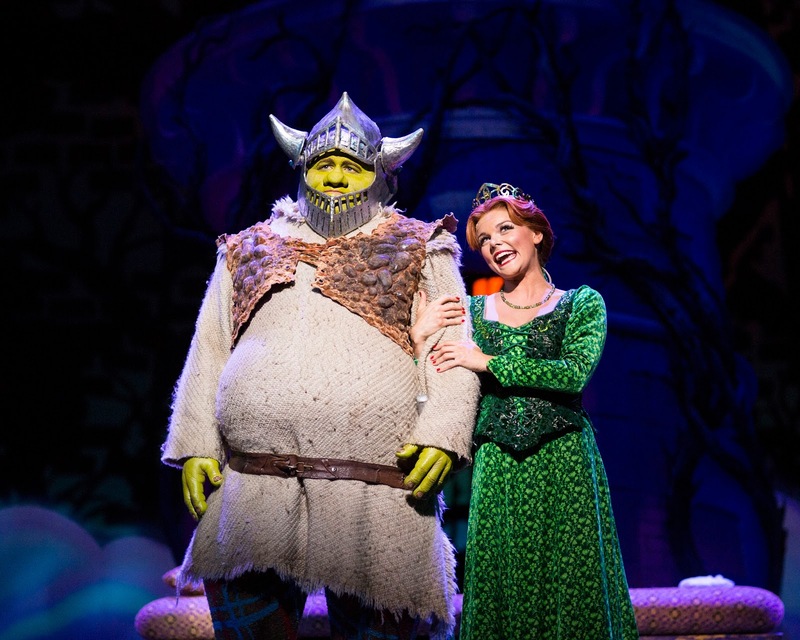 'Shrek the Musical' is truly Shrektactular. To say much more would ruin the show so I'll leave it at that. If you haven't already been to see this infectious musical then I really suggest you do so whilst its still touring the UK (click here for tickets) and if you missed out on tickets for the North East, its coming back to Sunderland in September! 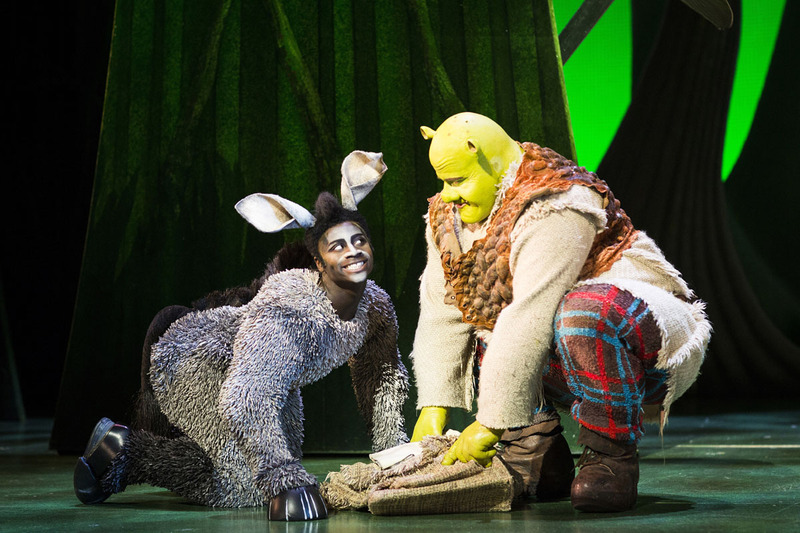 Have you been to see Shrek, if not what's your favourite musical? 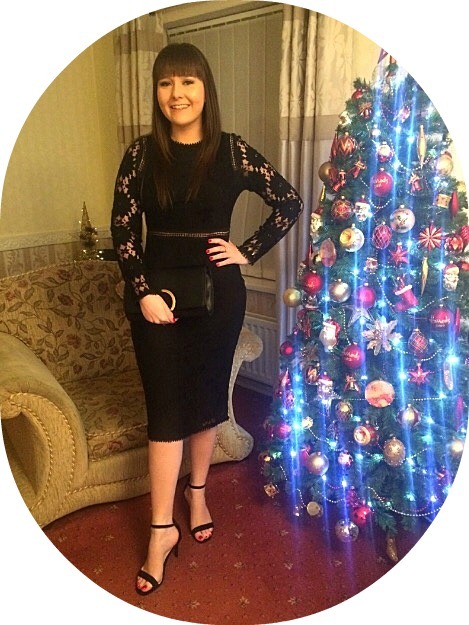 Ive never really fancied watching Shrek as i always thought it would be the same as the movie but after reading your review im quite intriqued!